Do you want to become a personal trainer online? This article will show you the 7 simple (yet highly effective) ways to become a personal trainer online. It is therefore a realistic guide to setting up online personal training and will show you the most important elements required to make it a success. You’ll also learn whether online personal training is right for you, and if so how to research and validate your online ideas. This workshop is for you if you want to finally create a plan that will produce real results to get you in front of your target market online and create more meaning by having the opportunity to impact more people with your expertise. This workshop is our most complete training on how to become a personal trainer online. For many fitness coaches, it can be a strong drive for freedom from the un-scalable cash for time personal training model, or simply a means to increase your salary. For others, it may be a necessity due to unemployment or lack of income. By knowing what you truly want from becoming a personal trainer online, it will propel and drive you to do the work required. Determination – creating a successful online training program takes time and you must see it through. It can take months of daily effort to make it happen and you must consistently have that drive for success. Humility – we must accept that we don’t know everything and that business is a constant journey to keep learning and to remain open minded while doing so. Decisiveness – in your own fitness business nothing happens unless you make decisions. You are now in control and your future is your responsibility. An analytical mind - at every stage you need to analysis your online training business. You must decide if it is working, where it is going and what needs improving. Do not be afraid of change. Are you up for the challenge? Then keep reading on and I'll show you how to become a personal trainer online. Time available – You must know how many hours you can, and will have to, commit to your online fitness business. It may only be possible to work part-time at first, until you grow it and make more income. The type of services or products you offer will also dictate the amount of time you may need to apply. Passive income products will take up a lot less time than ‘cash for time’ services. The online world can also offer opening times of 24 hours, 365 days per year. Start up costs - it is important to know how much online personal training will cost to set up. The benefit of being online is that it is cheap to start. The online world allows you to quickly create a website with cheap hosting and payment functions. The benefits of these platforms are that they all allow you to reach thousands to potentially millions of customers every day. Testing – How are you going to test your products and the effectiveness of marketing approaches? You should be looking for common trends, asking existing clients for feedback and doing a number of trial runs to find out what is really working. 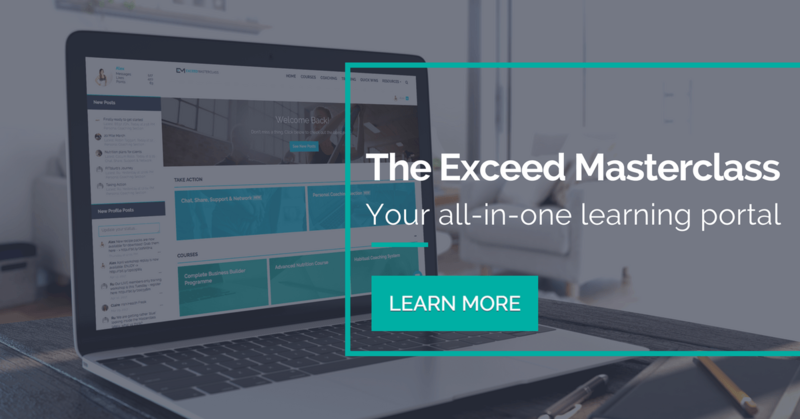 Scaling – How are you going to grow your online fitness business? You should understand the steps needed to scale your business to where you envision it in 1, 3 or 10 years’ time. Perhaps you will be a sole trader, or you will need a strong partnership. Maybe you will need employees or other experts in their field to help. Competition – Who is your competition? Due to the easiness and cost effective approach to getting started with personal training online, you can bet someone is already doing what you want to do. You must ensure you can provide quality services or products to match this competition, while offering something different at the same time. Within the online fitness industry, there are a number of business ventures and avenues to be explored. It is important to narrow these down, by finding out what your skills and interests are. This will reduce procrastination and wasting time creating the wrong products. Start combining these skills and interests to create your online fitness business. From the example above, you may decide that working online with athletes on their nutrition is what you want to do. These will serve as your strengths for success and make it much more likely that you will stick with it long-term. Being an entrepreneur – you are the ‘ideas person’ that has a creative and innovative approach to new opportunities and products. Being a manager – you are the organizer that must set targets, goals and solve problems. You become the face of the business and will most probably be interacting with clients the most. Being the technician – You are the person who will have to work on and in your business. This is when the work actually gets done and without this, nothing actually gets built or completed. Selling products – This is the selling of physical goods that people will benefit from. These physical products can be difficult to sell without an online audience or a shop/store. They also require a slick ‘sales funnel’ and operating software to capture and process sales. However it is possible to benefit from using existing online selling platforms such as EBay or Amazon. Selling services – Here you will sell a service that has no physical product attached to it. The benefit to this is you can sell a service that requires no store or storage and a low cost of creation. This service works well in the online platform. Selling information – These are information products, usually created in the form of PDF’s (eBooks), MP3’s (audio) or videos, and can be the easiest to create and set up. The only downside is you must prove they are worth the cost, as the internet has made information freely accessible to everyone. Although the easiest to create a business in, the popularity of these and a history of poorly designed products means you will need to ensure your information goes above and beyond expectation for long-term success. If you want more help with planning your online personal training, then check out our article 'How to Become An Online Personal Trainer using these 3 Proven Steps'. Having now identified what you are good at, based on your interests, it is time to come up with your idea. It is important to remember to match your ideas to your skills and strengths. Start by googling your ideas to see if there is an existing market and what it might be offering. While thinking of your ideas, you must also start thinking like a business person – turn on your radar. Analyze other similar companies, large established businesses, adverts, sales copy, emails, and even social media. Start thinking like you are already an online personal trainer and you will begin to see the world of existing business that is around you. This will help solidify your ideas and encourage further brainstorming of them. Create as many ideas as you can, good or bad. Remain open-minded but be sure to let your interests and skills guide you in the process. You must then evaluate your ideas and pick only the best. Does it have an audience? – Does your idea have a group of people that will also be interested in it? This is when you must study the existing market, do your research, ask questions and possibly trial run it. No matter how good you think your idea is, if there is no audience for it, then it will not sell. Can you make money from it? – If you can’t make an income from it, then this idea will not serve you as a long-term business. Change your idea. Can you sum it up in one sentence? – It is important to have an elevator pitch, as this will help you summarize what your idea is. If you can’t summarize it in a sentence or two, you probably don’t fully understand what your idea is going to provide to someone. If you don’t know, how do you expect to convey this message to others, and for them to easily understand? Essentially, your idea isn’t, and shouldn’t be, complicated. If you answer ‘yes’ to these, then your idea could make a good business. You should now break it down in more detail. The most effective means to do this is to really discover your avatar. By finding out who your idea, or product is for, you can create your target market. By having a specific target market, you can fine tune your idea to it, and make it bespoke. This means you won’t waste time, effort or investment trying to sell your product to people who don’t want it. In fact, trying to sell something to everyone is not good for online business. You will probably have existing or previous clients who match these criteria. Profile your ideal avatar and discover how they think, feel, hear and see. Ask them about their problems, what holds them back the most and what they really want to learn from you. Once you have this information, ask yourself if your idea solves what your avatar really wants and needs, that it provides benefits and gains to the user. Only then can you decide if your idea will provide you with a successful online business. You therefore don’t need a large audience to sell your idea to, just a starving crowd. Nor does it need to be an original idea, just do it better than your competitors. What daily frustrations do they have? What daily trends are they seeing? Who else is selling to them? Who else is selling but failing? No matter what type of online training you decide to go into, it will be important to have your own website. If you are an online personal trainer, you can direct prospective clients to it, to find out more about you and what you can do for them. You will also find that it can be ranked in search engines, so when someone searches for online personal training, your website could show up. This can be a very effective business tool for you to invest some time and money into. 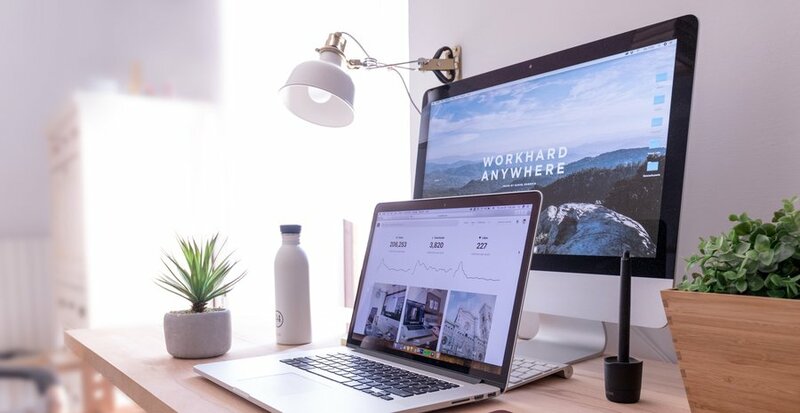 The same can be applied to any fitness business, and if you want to become a personal trainer online, having a great website will become crucial. 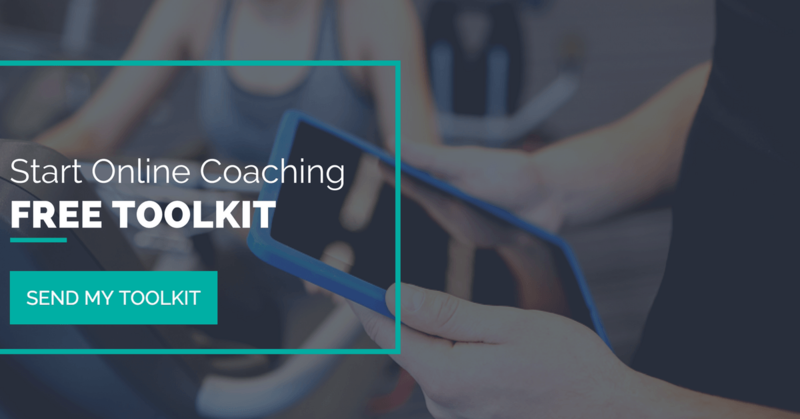 If you'd like more help on creating your website, then check out our article 'The Complete Design Guide to Your Personal Trainer Website'. Every online personal trainer needs a plan. Let’s be honest, this is what we tell our clients every day, right – planning is essential for success. Whether that’s remembering to pack their gym kit on a morning, or meal prepping on an evening for the next day. If you fail to prepare, then you must prepare to fail. The same goes for your online fitness business. It’s easy to wake up one day and say I want to be an online coach or run a program, but what will that actually involve to get to that end result. Good planning will map out exactly what it takes, and also how to get there. Develop your product or service - You now know what your product is, who it is for and what costs are involved in producing it. Market it – You now know your marketing strategy, the platforms you will use and how much it will cost you. Run your business – You’ll know how to budget your business and how much it will cost to run day to day. Make money with it – You now know how much money will need investing and when you will see a return on that. Overall, you can see if it will be a profitable venture or not. Ready to learn more on how to become a personal trainer online? Join me and I’ll walk you through the exact steps you need to take in order to get started online and my proven strategies on how to become a personal trainer online.